What is the Graduate Driver License (GDL)? New Jersey Graduated Driver License (GDL) is a program teen and first-time drivers must complete to get their unrestricted basic driver license. As you may be aware, the driving laws have changed in New Jersey. New Jersey now has a Graduated Driver’s License (GDL) law. 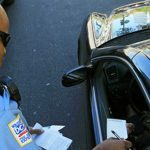 There are now three (3) steps to obtain a full license in New Jersey. Step 2: Provisional (with restrictions) license, at age 17after completing minimum of 6 months of supervised driving with validated permit. Why did the state change its law to have the GDL? The program was designed to reduce the number of driving fatalities among teen and first-time drivers and their passengers. By having more experience, new driver will be more capable of handling all types of driving situations. Since when is the GDL effective? The GDL law became effective January 1, 2001. What are the restrictions on the GDL? What is the Defensive Driving Classroom course? Since the inception of the two-point reduction program in 1991 and legislation in 1996 mandating a 5 percent insurance discount, in New Jersey, completion of this course makes one eligible for a 5 – 10 percent insurance discount and/or a two motor vehicle points reduced. Upon completion of the course, participants will receive a certificate. For New Jersey drivers requesting insurance discount and/or point reduction, paperwork will be submitted within 5 days to the Department of Motor Vehicles. We teach the New Jersey state-approved Driving School Association of New Jersey (DSANJ) course. This non-lecture format solicits and encourages critical thinking throughout the course. The course may be presented in one 6-hour session or two 3-hour sessions. Course components include a video presentation, a course leader-guided discussion, and Driver Response books for each participant. What do I need to know or bring on the day of my road test? Properly registered, insured & inspected vehicle. In addition, the examiner must have access to actual brake pedal or parking (emergency) brake. After passing the road test, you will need to go into the AGENCY to have your license processed. At this time, you will need six points of ID. For more information visit the NJMVC website. An original permit is required while practice driving and on the day of your road test! If your permit was lost or stolen, we suggest you contact your local police department to report it to avoid someone else using it and contact your driving school in order to get a replacement. If it is damaged in any way, you will need a duplicate and we will be happy to help you with the paperwork. A 16 year old must get a duplicate from their driving school. Aiskae Driving School will schedule the appointment to take the behind the wheel NJ Road Test when the learners permit is issued. The date of the exam will be listed on the lower center portion of the back side of the NJ learners permit. Most NJ Road Test appointments are scheduled for early morning on the date of the student driver’s 17th birthday. Of course! One of our most popular services includes pick you up and delivery to your NJ road test location. We recommend a driving review lesson sometime prior to your NJ road test appointment date. Find out more about our new driver Review Lessons here, or contact us now to register.